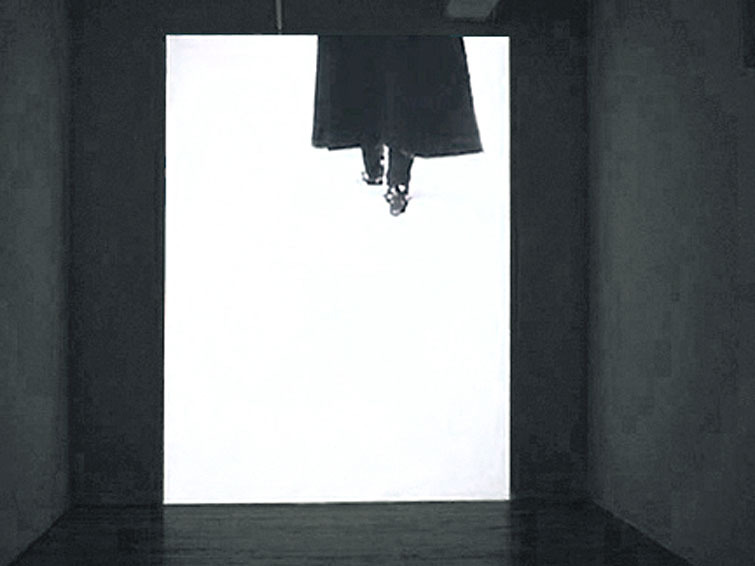 This looped video transforms from black to white as the figure moves away from the camera, and then from white to black as the work begins again. 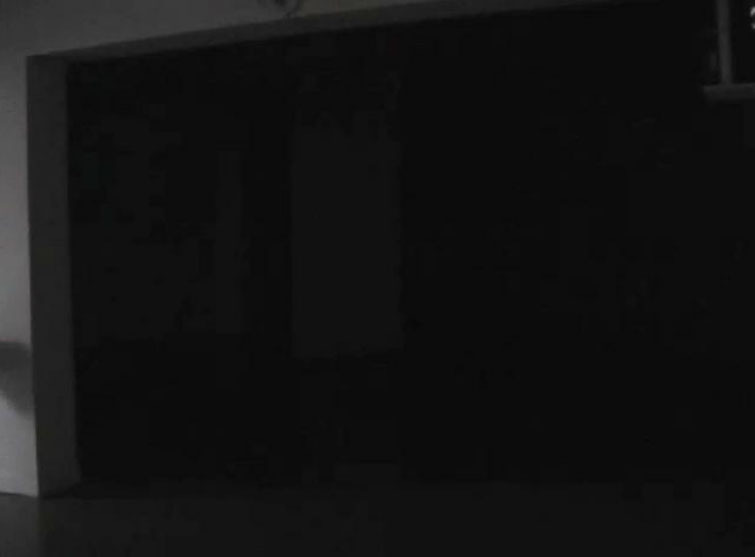 While the figure is on the screen the sound of a person gasping for breath plays backwards and then forward when not visible. 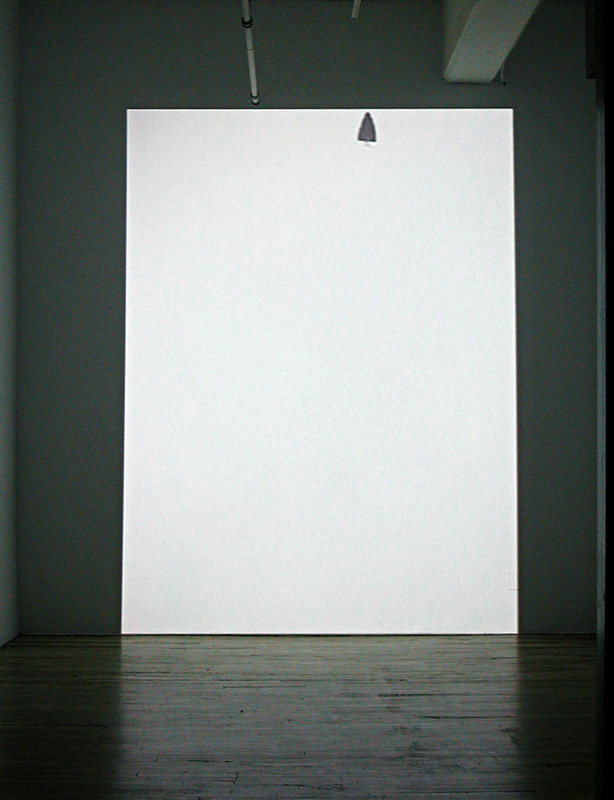 This work was created in response to Steve McQueen’s video Deadpan .